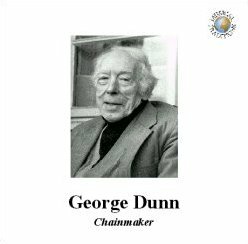 Born in 1887 in the ironworking community of Quarry Bank near Dudley in the Black Country, George was a chainmaker and well-known singer at pubs & parties. His songs, stories and reminiscences, presented here on 2 CDs (51 tracks) and transcripts in the splendid booklet produced by Roy Palmer (with his usual thorough, magic touch), paint a detailed, vivid picture of life in his community. (Roy has written the transcriptions using a 'creative spelling' style which really does give a flavour of that very specific dialect). The chain and nailmaking in particular are poorly documented, and George adds a lot to our knowledge of that time of extremely hard working conditions and poverty. In contrast, his storiesof poaching, pigeon-flying, dog racing (and fighting!) and singing at all possible opportunities describe a close community well able to enjoy itself. "It was a mean street (Sheffield street) but there was a lot o' love in it and a lot o' camaraderie ... lots of kindness. And there was lots of poverty - plenty of poverty"
There are strong versions, beautifully sung of Cold Blows the Wind, The Broomfield Wager, All Fours, The Seven Joys of Mary, Nelson's Death, The Nottingham Poacher - just to give an idea of the range and importance of his repertory. There are light-hearted songs such as My Fathers a Farmer and The Basket of Eggs. This last one is fascinating as George could only remember odd verses and so speaks the story in between (sound clip). The track becomes a cantefable! ) The spoken parts of these recordings are a wonderful record of a dialect still used, but watering down a bit these days, maybe). The later, popular songs such as Father Come Home Do are sung with equal conviction and all 'have something to say'. However, I seem to remember at George's record launch party (for the LP produced in 1975 by Bill Leader - LEE4042, long deleted) he was asked to sing The Volunteer Organist and stopped after a couple of verses with "That's enough of that one!" Full texts of all songs are given, and information is fully referenced; Roud, Child, Wehse numbers etc; other recorded and printed sources of the songs; tracks credited to the collection of Roy, Ewan McColl and Peggy Seeger or Charles Parker. The information is easily accessible, and the songs are wonderfully learnable! I sing some, and intend to learn a lot more! There's a chain of thanks that's important here: Rhoma Bowdler who 'chance encountered' George and knew what she was doing; Charles Parker, Ewan McColl and Peggy Seeger; but mainly Roy Palmer for his dedication, skill and warmth, and Rod Stradling for giving us yet another piece of treasure.